Former Gov. James E. McGreevey's recently released memoir has reached best-seller status on two key book-industry charts. 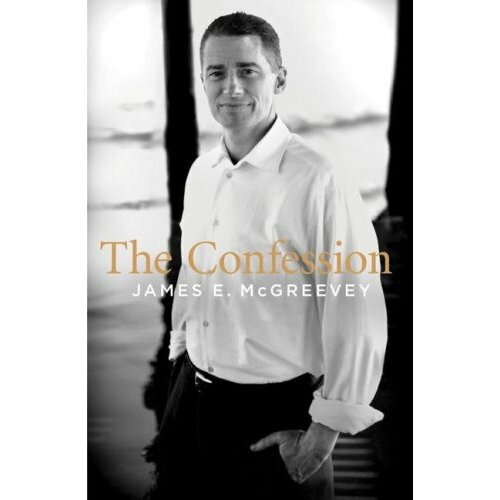 The New York Times book review will report in the Oct. 8 issue that McGreevey's book, "The Confession," ranked No. 3 in non-fiction hardcover sales for its first week in print, a spokeswoman for the newspaper said yesterday. The Times does not release actual sales figures, only rankings. And, according to first-week sales statistics from Nielsen BookScan U.S., the book ranked No. 4 in the adult non-fiction category and No. 1 in the biography/autobiography category, said Nielsen vice president Jim King. Nielsen recorded 15,000 copies of McGreevey's book sold since it hit store shelves on Sept. 19 -- 8,000 fewer than the week's top-ranked adult non-fiction work, "Inside My Heart," by Robin McGraw. The 384-page book focuses mostly on McGreevey's secret life as a closeted gay man -- from his sexual encounters with men at highway rest stops to his infatuation with Golan Cipel, the Israeli national McGreevey plucked from obscurity and placed on the state payroll as his homeland security adviser. It also touches on the backroom politics in New Jersey and how McGreevey was able to thrive in that world. McGreevey announced he is "a gay American" and resigned on Aug. 12, 2004. He then retreated into seclusion and therapy for nearly two years until re-emerging in a media blitz that coincided with the book release. In the last 10 days, McGreevey has appeared with Oprah Winfrey, Larry King and in interviews with newspapers and television and radio networks. "The Confession" was published by ReganBooks, which has agreed to pay the former governor up to $500,000 for his memoir. McGreevey was in Washington, D.C., yesterday for book signings and interviews. On his way into a signing at the well-known gay bookstore, Lambda Rising, McGreevey said he had no comment on the sales figures. David France, who co-authored the book with the ex-governor, also declined to comment.